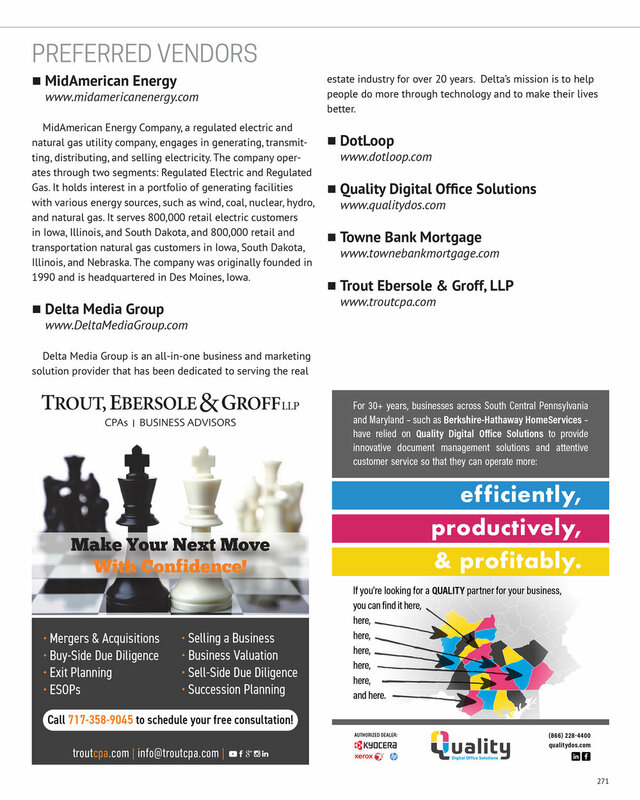 We’ve always said that we succeed when our customers succeed, so of course we’re happy to spread the news when they are honored with an award, recognized for their accomplishments … or featured in a magazine. 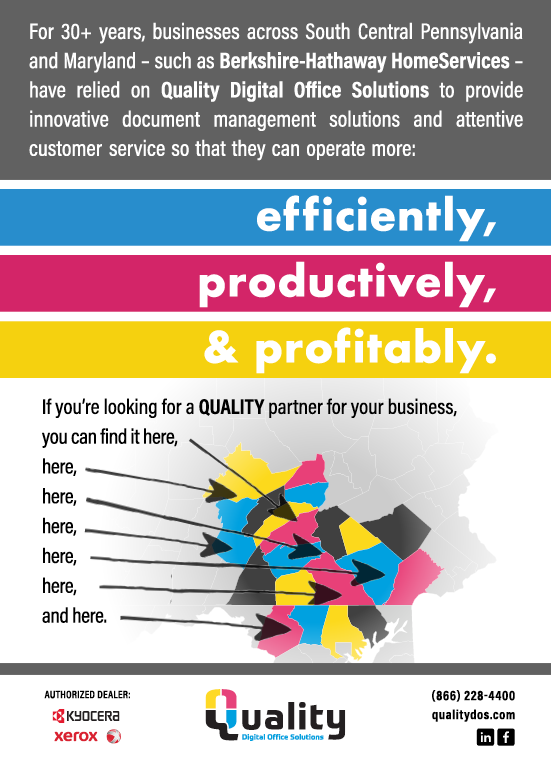 Such is the case for BerkshireHathaway HomeServices Homesale Realty – a well-known real estate leader across Central Pennsylvania and Maryland, a longtime Quality customer, and, very recently, the recipient of some very-much-deserved ink in the May 2018 issue of Business View Magazine. But you know what’s even more exciting than celebrating with our friends at BHHS? Sharing the spotlight with them! So here’s a big ol’ thank you to BHHS: for your continued trust in our team to handle your office equipment needs, and for going on the record identifying QualityDOS as one of your preferred vendors!